The PowerVault ML6000 is an intelligent, modular tape library that prepares SAN environments for true disaster recovery. You have better things to think about than your back-up technology, and the PowerVault ML6000 family is designed to ensure that storage of your key files are worry and hassle free. The ML6000 is a versatile, enterprise-level, top-rated modular tape library that allows customers to scale their SAN backup solution. 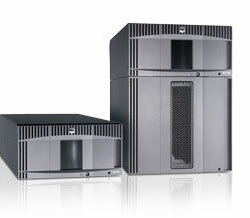 Employing LTO-3, LTO-4 and LTO-5 tape drives and media with WORM capability, as well as features such as Proactive Monitoring to supervise all major subsystem components and Encryption Key Management for added security, the ML6000 is an intelligent, long-term investment. Capable of expanding as your capacity needs grow, the ML6000 family offers your organization long-term data retention and restoration functionality, in a robust, intelligent, user-friendly storage system. The Dell PowerVault ML6000 Tape Library is a truly modular back-up solution for your critical files and data. Completely scalable, the ML6000 family provides you with the secure storage capacity you require now, while helping to ensure that your needs are met tomorrow. Starting with up to 61.5TB of native capacity in the 5U, 41-cartridge ML6010 Library Control Module, you can stack and grow your library, adding 145.5TB of capacity with each 9U, 97-cartridge ML6000 Expansion Module, up to a total potential storage capacity of a staggering 613.5TB. The library is available pre-configured in 5U (ML6010), 14U (ML6020), or 23U (ML6030) sizes and adding an additional 9U unit to your stack is a straightforward procedure. Planning for future storage capacity today can help save your organization time and money when you take advantage of the capacity on demand feature. For example, the ML6030 Library is pre-configured with 87 cartridge slots enabled. When the need arises, additional cartridge slots can be activated in 46 slot increments via the software License Key, allowing for non-disruptive scalability to even greater capacity, up to an instantaneously available 225 tape cartridge slots providing 337TB of initial native capacity. As your enterprise grows, so does your library, each additional 9U Expansion Module is also License Key scalable in 46 slot increments, that will eventually support up to 409 slots in a 41U library configuration! Activating a new License Key code and increasing your capacity is a simple, straightforward process that does not require any extra hardware or re-initialization of the library. 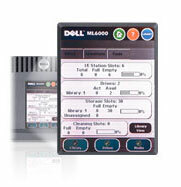 The ML6000's intelligence proactively monitors the status of all components and operations in the library. Relational diagnostics maintains a history of events occurring in the library over time, and correlates them to provide failure prediction capabilities. The ML6000 will select, gather and analyze logs and provide proactive notification to your designated administrator of potential issues before an issue actually occurs. You can take advantage of the email notification feature to provide remote notification of events occurring in the backup environment. Finally, the integrated Data Path Verification Tool proactively checks the data-path to help ensure connectivity before running your backup, helping to dramatically reduce instances of failed jobs. The integrated Operator Panel's touch screen is a simple and intuitive GUI interface that allows you one-touch access through menu items, and provides quick-glance information on the library's health. Set-up, installation, maintenance, partitioning and troubleshooting are all handled through Wizards that guide you through each process step-by-step in plain English. A full-featured, HTML-based remote management utility allows administrators to perform all library management functions from any remote location. The self-awareness and ease of management of the ML6000 PowerVault Library helps ensure that the safety of your back-up execution is always worry free. 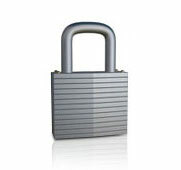 Effective data protection requires reliability. The entire PowerVault ML6000 stack is governed by a single, continuous robotic system, meaning fewer moving parts and less chance of failure, further helping to ensure your key files are safe and secure. WORM (Write Once Read Many) is integrated with LTO generations LTO-3 and higher to help prevent data from being overwritten or digitally altered. The ML6000 has a Redundant Power Supply designed to ensure that your storage is active and available, at all times. For additional security, Library Managed Encryption is available when configured with LTO-4 and LTO-5 drives. The ML6000 PowerVault family is optimized for Dell PowerEdge Servers, and designed to align perfectly with the Dell EqualLogicTM iSCSI and Dell/EMC Fibre Channel disk storage systems. The PowerVault ML6000 family is the ideal choice for Dell/EMC or Dell EqualLogic SAN backup and can effectively support your long-term archiving needs. Technology evolves. That's why the ML6000 family supports a wide range of software from leading companies like Symantec, EMC and CommVault, as well as the Dell/EMC and Dell EqualLogic disk portfolio. 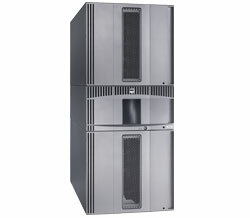 The PowerVault ML6000 uses drive technology that is future-ready, capable of expanding with the market to support different connectivity options including SCSI and Fibre Channel. Long term investment requires a system that is flexible, modular and scalable, and the PowerVault ML6000 family is ready to grow with your enterprise. When factoring in the features and benefits of tape storage - such as reliability, portability, encryption (LTO4 and LTO5), and the shelf life (over 20 years) of tape cartridges, tape storage is the perfect solution for your long term or short term backup or archiving needs. In addition, when tape media is stored, it does not require energy until it needs to be accessed. 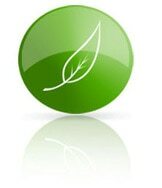 By using zero energy when stored, tape is 'naturally' Green.